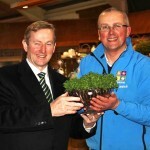 Posted February 22, 2012 by niallfarrell in News. Horkans Lifestyle & Garden Centre were awarded a top 5 star Quality award at this years Garden Centre of the Year awards held in Dublin on Friday night. Horkans received two top awards for excellence in their Westport Lifestyle & Garden Centre and also for their flagship centre in Turlough, Castlebar. Pictured are Keith Murphy, Declan McLoughlin, Alan Flannery and Peter Horkan who received two top awards for Quality and Excellence for their Westport and Castlebar Garden Centres. The National Amenity Horticulture Quality Awards recognise and promote excellence across three key sectors of the industry. 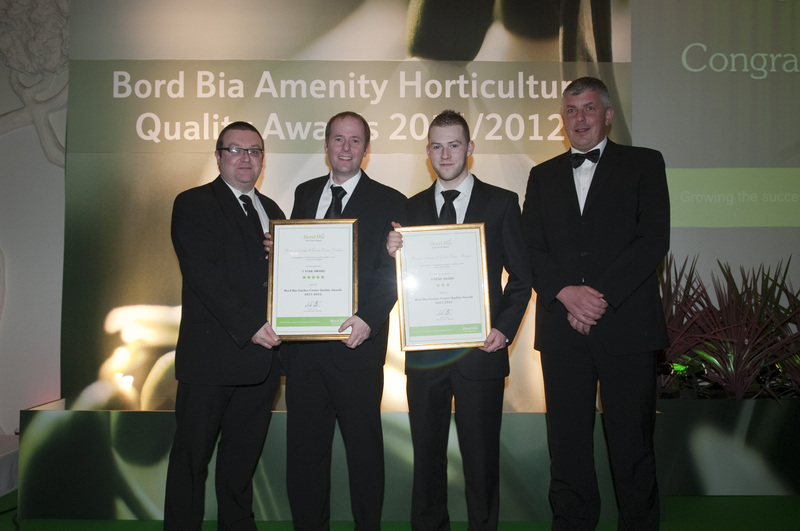 This year Bord Bia awarded 41 garden centres; 6 ornamental growers and 11 landscape service providers, which have successfully achieved the standards as set out by its Quality Assurance Programmes. The Judging panel have complement Horkans on the outstanding level of customer service and retail standards achieved throughout the year. 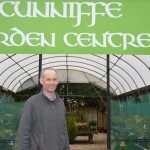 “This destination Lifestyle & garden centre offers shopper’s quality in garden and home products backed up with expert advice and customer service. The range of product on offer and variety of Pets, garden products, plants and home accessories makes Horkans a must visit retail centre for all homeowners”. Horkans Lifestyle & Garden centre is run by a dedicated team of quality staff members who are qualified to help customers with Garden, home and pet purchasing solutions. Horkans operate four garden centres in Westport, Castlebar, Sligo and Galway and their fifth centre opens this week in Cornelscourt Dublin.